This well-executed, politically-minded graffiti made me smile when I snapped it on Saturday in a back alley near the Museo Diocesano in the Centro Storico in Naples. The skeletal figures are taken from the workers on strike in the famous painting Il Quarto Stato – The Fourth Estate (1901) by Giuseppe Pellizza da Volpedo which is in the Museo del Novecento, Milan. More on Naples graffiti, love it or loath it, here. There is even a Napoli Street Art Twitter feed you can follow here. C’è un momento in ciascuna alba in cui la luce è come sospesa, un istante magico dove tutto può succedere. La creazione trattiene il suo respiro. ‘There is a moment in every dawn when light floats, there is the possibility of magic. Creation holds its breath’. The New Napoli Shirt arrives! Earlier this year, Kappa, the Italian sportswear company, became SSC Napoli’s new kit supplier. The shirt for the new season, in the famous blue as befitting the colours of the Bay and of the sky overhead, was launched recently. Kappa marked the occasion with a lovely video (no English subtitles) nicely capturing the importance of the club to the city and the passion for football (or calcio) in general. 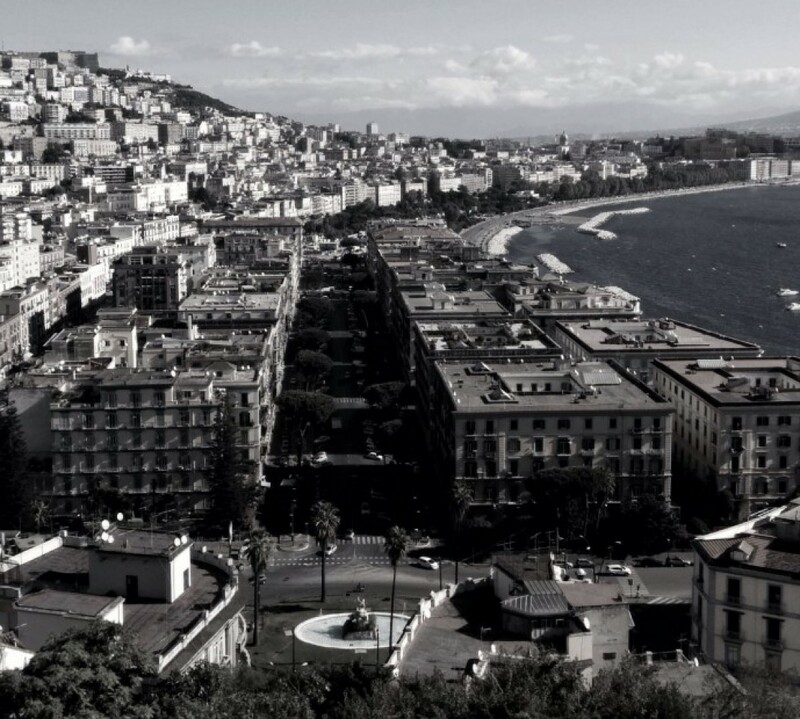 A girl puts a camera in her grandfather’s car to see what he says as he drives through Naples. You don’t need to speak Neapolitan to get the gist as he speeds along, sometimes even with a hand on the wheel. The video’s payoff is that we spend on average 7 years of our lives stuck in traffic, six of them angry, and we should all go by bike. Fortunately there is the new Bike Sharing Napoli now to get you out of the car and get around the city in a calmer manner. As long as you don’t meet Gramps coming the other way. You may have missed, as I did, that yesterday, March 20th, was International Day of Happiness, established in 2012 by the United Nations to recognise that the ‘pursuit of happiness is a fundamental human goal’. To mark the 3rd anniversary of the Day, Voices from the Blogs, an Italian project that studies online tastes, preferences and opinions, published its report (in Italian) of the state of Happiness in Italy, based on an analysis of millions of tweets during 2014. There was bad news for Naples: it languished in second from bottom spot in the list of happiest cities in the country and was the most unhappy place in Campagna. August 8th was identified as the unhappiest day last year. Overall, Italy grew slightly unhappier during 2014 in comparison with 2013. How can this be? As Pope Francis stated today as part of his visit to the city during his open air Mass to the faithful in the benighted area of Scampia, Naples faces serious problems. High unemployment, exploitation, crime, drugs, discrimination, and especially corruption which he said ‘stinks’, using the Neapolitan slang term spuzza, all undoubtedly impact on happiness. 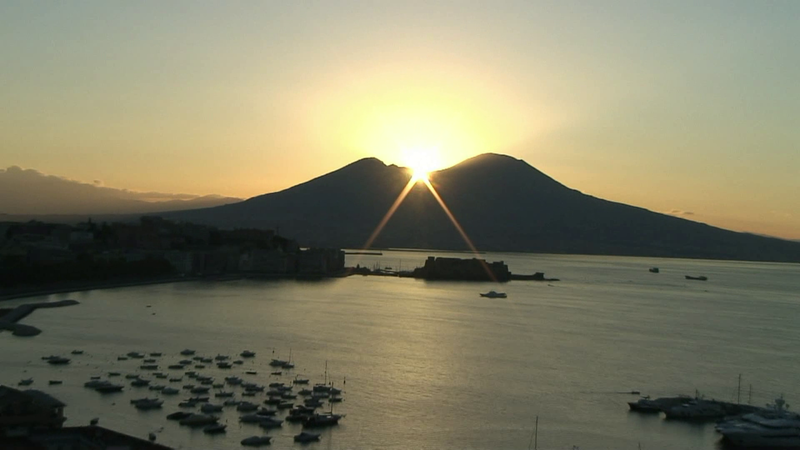 But the Pope also said that Naples remains a place of hope; ‘although life in Naples was never easy, it was never sad’. Dear Neapolitans, be open to hope and do not allow hope to be stolen from you! Do not give in to the lure of easy money or dishonest income. This may be bread for today but hunger for tomorrow. It cannot bring you anything. React firmly to organizations that exploit and corrupt the young, the poor and the weak, with the cynical drug trade and other crimes. Do not allow hope to be stolen from you. Do not allow your youth to be exploited by these people. May corruption and delinquency not disfigure the face of this beautiful city! Moreover, may it not disfigure the joy of your Neapolitan hearts. I consider quality of life to be the ability to eat simple exquisite things anywhere and at low prices, which elsewhere would be unreal. I consider quality of life to be the sea which wanders into the room of the gulf between Capri, Sorrento and Posillipo. I consider quality of life to be the wind that sweeps the gulf from the four cardinal points and makes the light air. I consider quality of life to be the excellence of Neapolitan coffee and pizza. I consider quality of life to be courtesy and a smile when entering a shop, the music on the street. I consider quality of life the history that emerges everywhere. Certainly the young people in the video are Happy from Naples. I am. Are you?